Any eye exam should always include a careful look at the retina, which is located at the back of the eye, to screen for abnormalities or disease. When you add digital retina imaging (DRI) to it you can prevent strokes, heart attacks, diabetic vision loss and more! The sensitive tissue that makes up the retina is susceptible to a variety of diseases that can ultimately lead to partial loss of vision or even complete blindness. 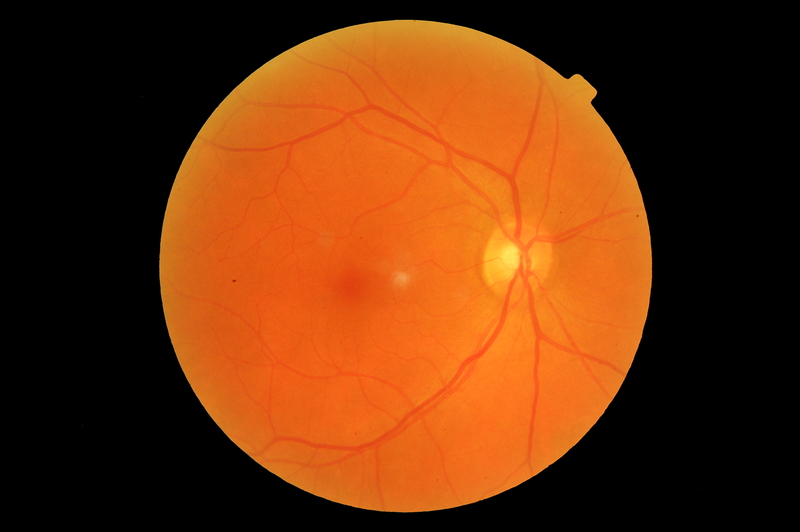 Early detection of any retina abnormality is crucial. Previously, this could only be done by dilating the pupils, and even then, the information that can be gathered by this new technology, in seconds, far exceeds that of a routine dilated exam (but does not replace dilation). The DRI System is using a new technology – the full color digital retinal imaging system enables us to see more details of your retina to diagnose things like: hardening of the arteries, high blood pressure, diabetes, brain tumors and to prevent strokes and many other health problems! In Children it even helps detect degenerations caused by nearsightedness. Since no drops are needed (in most cases), you will not experience blurred vision or sensitivity to light following your retina imaging. It is important to note however, that should any abnormalities be detected or if we cannot obtain an acceptable image, dilation may be necessary. 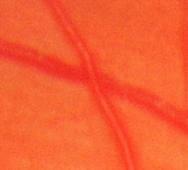 Here on the right you see an image of an artery crossing over a vein. Both are healthy and indicative of normal caridovascular health. In the next image you will see a “nicked” blood vessel. Here the vein beneath the artery is deflected from its straight path, much as would happen if you stepped on a garden hose that had a strong stream of water running through it. These images are from the digital retina image, as seen in the top photo. If this nicked vessel was in your body it would be indicative of your risk for heart attack or stroke. By monitoring this state and following needed lifestyle changes we can also track its remediation! As you can see the blood flow in the vein beneath the artery is almost cut off. When this gets worse and it is cut off, there is almost always a loss of vision, either partial or totally. More importantly, this is a warning and way of monitoring your whole health. This is a path to preventing strokes and heart attacks and it is also an early warning of diabetes in many cases. The DRI exam is simple: at the push of a button, we can generate a computer image of your retina for immediate review. Experience with this technology has already led to improved disease detection and has prevented vision loss and blindness in many patients. I pioneered the usage of this technology by writing the software to accomplish this using in office technology and Visual Basic. I did this first in 2004 and to the date of this publication we have saved many lives and many people sight! We have also clearly documented the causes by listening to thousands of patients tell us about their diet and lifestyle.